Listen to his take on Jimmy Dawkins' "Me, My Guitar and the Blues." 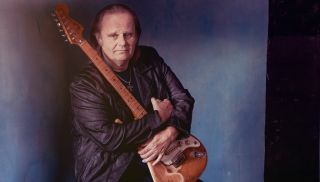 Walter Trout will release his guest star-studded new album, We're All in This Together, on August 25. Today, we're premiering "Gonna Hurt Like Hell," a track Trout recorded with Kenny Wayne Shepherd. Exclusive Song Premiere: Walter Trout — "Bad Love"